The University of Salamanca, which in 2018 will celebrate its 800th Anniversary, is the oldest University in Spain and also one of the first-born institutions of Higher Learning in Europe. Its historic character led to its playing a stellar role during the Renaissance, remaining to this day an academic landmark not only in Spain but also throughout Europe. In its lecture halls the University led the development of the Spanish language and of international law. Each year in the classrooms, libraries, and laboratories of the University students and professionals from more than sixty nationalities are brought together. Its sporting facilities are one of the best in Spain, including the best rugby field in the country. Tennis courts of easy access to students, faculty, and residents surround the university and the city. This is a fundamentally University-focused city where close to thirty thousand students live as part of a population which barely reaches one hundred and seventy thousand inhabitants.  The UNESCO World Heritage has declared the city and the University of Salamanca a Patrimony of Humanity. The city’s beauty, complemented by its size makes walking the most frequent way to get from one place to another. In comparison with larger cities, facilities for finding economical accommodations as well as the low cost of living are other great incentives for choosing to study at USAL. Rapid transportation connects the city with Madrid and the Barajas international airport, which only adds to the conveniences that this exceptional city offers.